CUSTOMER : INDEPENDENCE CARE, INC. Independence Care, Inc. is a small, personal and caring agency that provides quality services, dependability and trusting companionship. We assist your loved one in the comfort of their own home. 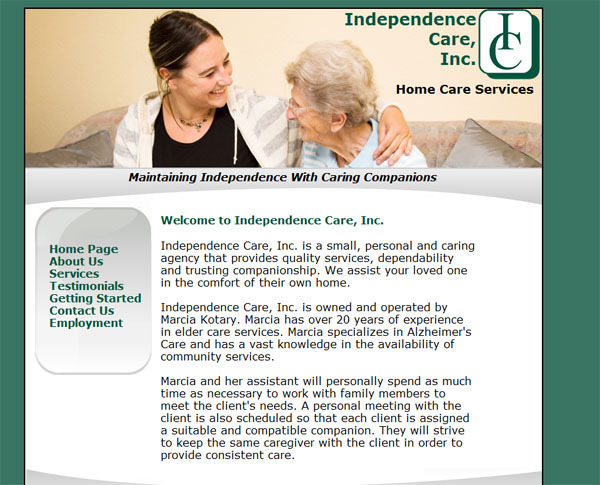 Independence Care, Inc. is owned and operated by Marcia Kotary. Marcia has over 20 years of experience in elder care services. Marcia specializes in Alzheimer's Care and has a vast knowledge in the availability of community services.